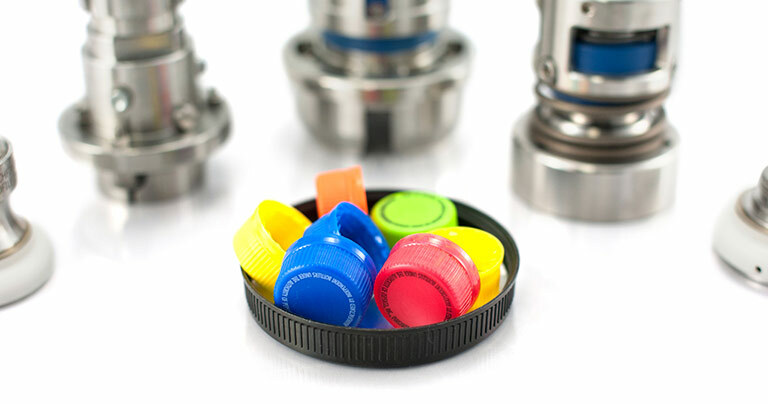 Precision Torque Control, Inc. manufactures a complete line of cap chucks in order to provide our customers with the most reliable capping equipment on the market today. We offer capping chucks at a very competitive price and with short lead-times. Our capping chucks are manufactured out of pre-hardened stainless steel that is highly corrosion resistant and are custom engineered to provide the best fit with your specific cap profile. ALL CHUCKS ARE 100% INSPECTED BEFORE SHIPPING! We inspect all chucks before they leave our facility. This ensures that our customers have no production delays! Precision Tork capping chucks are 100% interchangeable with existing OEM chucks and are made to last! We have a complete product offering including single piece fixed chucks with a threaded connection, quick-disconnect chucks, pneumatic jaw chucks, mechanical jaw chucks and flexible jaw chucks that are made to accommodate different color closures or different closure manufacturers. We can customize your capping chucks to accommodate your specific requirements.